The world’s most experienced Apache helicopter pilot has officially concluded his military flying career. 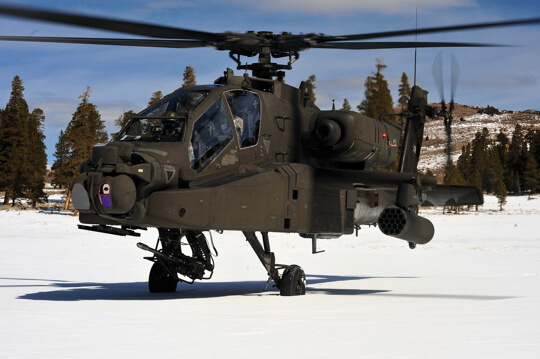 On Jan. 29, 2016, Chief Warrant Officer 5 Ken Jones made a final flight in the Boeing AH-64 Apache before retiring from the Utah Army National Guard’s 1-211th Attack Reconnaissance Battalion. 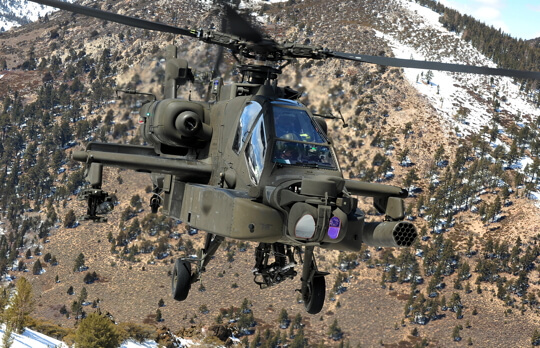 Over the course of a 35-year U.S. Army career, Jones logged more than 10,000 flight hours in the AH-64, making him the highest-time Apache pilot in the world. 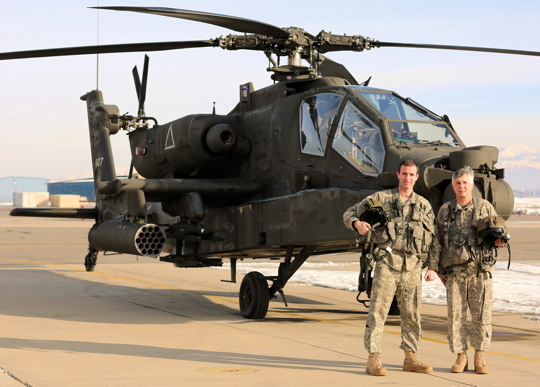 With him on his retirement flight was his son, Chief Warrant Officer 4 Jared Jones, who is also an Apache standardization instructor pilot (SIP) in the same unit. With around 3,000 Apache flight hours himself, Jared Jones will be carrying on the family tradition — although he doesn’t expect to match his father’s milestone. “I don’t know if anyone will ever surpass his flight time,” Jared said. Ken Jones didn’t necessarily set out to break records, but “from a really early age I wanted to fly,” he recalled. As a farm kid growing up in Kansas, he was particularly inspired by seeing John Glenn orbit the earth in the “Friendship 7” spacecraft in 1962. Jones learned to fly airplanes while in high school, then attended Embry-Riddle Aeronautical University in Daytona Beach, Fla., on a Reserve Officers’ Training Corps scholarship. Following graduation, he headed off to Army flight school, where he finished first in his class and was given his choice of aircraft to fly. He chose the Bell AH-1 Cobra. After spending some time in a tactical unit, Jones transferred to Fort Rucker in Alabama to serve as a Cobra IP. That’s how he came to fly some of the first AH-64A Apaches when they were introduced to the U.S. Army in 1985. Jones spent a total of 12 years in the Army’s active component, including time flying in research and development for the AH-64B, a predecessor to the AH-64D Longbow. Then, deciding that “maybe I’d like to stay put,” he took a position with the Utah National Guard’s Apache battalion in Salt Lake City, attracted by both the personality of the unit and the beauty of the surrounding mountains. 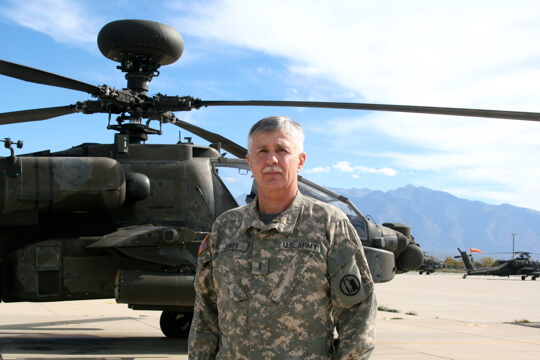 At the time of his retirement, Jones was the aviation standardization officer for the 97th Aviation Troop Command and the senior AH-64D standardization instructor pilot for the Utah National Guard. Over the more than 23 years that Jones spent with the Guard, he deployed four times, including three deployments to Afghanistan. Indeed, 2,270 of his Apache flight hours — nearly a quarter of the total — were combat hours logged in Afghanistan. Jones took part in several high-profile operations while in that country, including a rescue in which he and his wingman flew five stranded special operators to safety after strapping them to the outside of their aircraft. He also provided Apache support for a 2012 special forces mission that rescued four kidnapped aid workers. Jared’s exposure to aviation stretches back to his childhood at Fort Rucker, when he and his brother, Jason, who became an Air Force pilot, would join their father in the Cobra simulator on Friday nights. When they were older, they received more formal flying lessons from Jones, who is also a Federal Aviation Administration certified flight instructor. According to Jared, his father can be demanding as an instructor, but he inspires his students with his enthusiasm and his talent for teaching. Jones won’t be giving up learning, or flying, anytime soon. He has already accepted a position as a helicopter emergency medical services (EMS) pilot with Air Methods, which has a contract with the University of Utah AirMed program. “It’s a professional pilot job, so I’m excited about it,” he said. “Of course EMS guys don’t fly as much, but that’s OK — I’ll have more time to read a book.